No doubt Ahrefs is one of the best link building tools but still people look for Ahrefs Alternative. I will tell you the reasons as for why one look for the Ahrefs alternative later in this post. For an efficient blogging and internet marketing, you need some great blogging tools so that you can achieve good results in less time. Also, blogging tools help you to automate your work and achieve more in less time. Now as we all know that Ahrefs is the industry leader when we talk about link building and link analytics tool then why someone will need an alternative to Ahrefs. Well, if you don’t know about Ahrefs, you can go through our details Ahrefs Review guide. You should also check how industry experts voted Ahrefs as the top link building tools. • Only 7-days refund policy etc. So let’s start with the few best Ahrefs Alternatives for your next link building campaigns. These tools will help you to analyze your competitor’s data and based on which you can do well with your sites and campaigns. I have compiled the list and have come up with some of the best alternatives to Ahrefs based on their features, price, and support they provide. Few of these are Ahrefs alternative free also while others are paid alternatives but provides a trial. Based on the features and the experts’ recommendations, below are the top 5 picks for Ahrefs Alternatives. Now let’s discuss these all Ahrefs Alternative one by one in details here. SEMrush is an amazing link building tool and is one of the best Ahrefs Alternatives. It helps you to see competitors’ best keywords, observe the search engine ranking tracking of the domain and much more. You can get insights into your competitors’ strategies in display advertising, organic, and paid search, and link building. Below are some of the great features of SEMrush. Organic Research: You can see your competitors’ best ranking keywords, find the positions, etc. Advertising Research: You can check competitors’ Ad Strategies and Budget with new competitors in Ad networks. Backlinks: Check referring domains, do link analysis, their health, etc. Video Advertising Research: Find your competitor’s video ad strategy, create your video ads and much more. Apart from these amazing features, there are various SEMrush tools which will help you in your day to day work. Few of those SEMrush tools are below. Site Audit: Check your site’s health with our SEO analysis tool and based on the result, fix the issue. The pricing of SEMrush starts from just $69.95 per month where you can work on five projects. With all these SEMrush is a solid Ahrefs Alternative. Majestic is another great link building tool which is used on a large scale. The fact people use Majestic is because it has multiple features. Site Explorer: It will give you all the insight of a domain or URL. You can get all the details like health, age, etc. Backlink Checker: Using this you can check the backlink of any domain and based on which you can create for yours too. You can even do bulk backlink checking. Search Explorer: You can search for any keyword, and the tool will display you the title, URL where it appears, etc. Keyword Checker: You can do keyword research with keyword checker tool. So it can also be a Google Adwords Alternative when it comes to keyword research. Majestic comes with a monthly price of $49.99 per month, but the issue is you will have to buy for one-quarter. The company also provides 7-days money back guarantee. Accurate rank monitoring: You will be checking result from 300+ search engines; comparing with ten others sites with unlimited keywords. Profound link analysis: Analyze your links as well as of competitors’ based on 40+ various factors. Competition analysis: Showing the details based on Backlinks, Content, Ranking progress, etc. 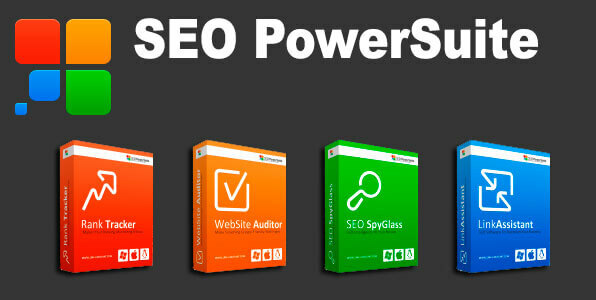 Well, SEO PowerSuite is one of the very few link building and Analytics tools which have a free plan as well. You will have limited features in the free plan, and the paid one starts at $499 per month. 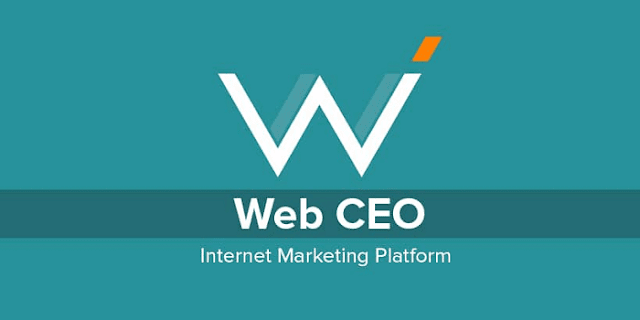 Web CEO is a complete internet marketing platform for internet marketers for SEO and SEM related works. They are providing over 15 internet marketing tools with brand reports. The startup plan starts at just $75 per month if you buy for a year else it will cost you $99 per month. You can read more about Web CEO in our earlier post-WebMeUp Alternatives. Last but not the least SerpStat is also one of the top Ahrefs Alternative. 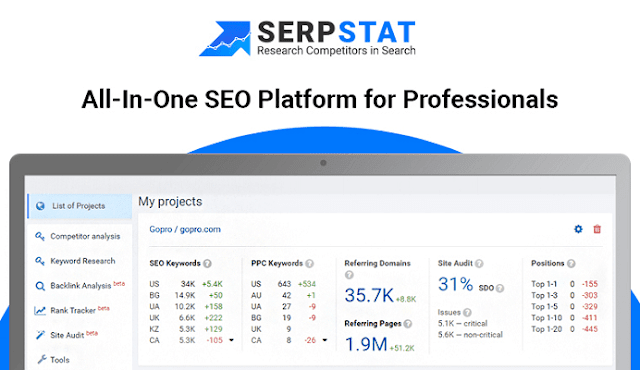 Features like Position tracking, backlinks analysis, Keyword research and site audit makes SerpStat as one of the leading link building tools. Here are some of the amazing features of SerpStat which make it one of the best sites like Ahrefs. Keyword Research: It collects the keywords for SEO and PPC, show you the difficulty level as well as find the long tail keywords as well. Search Analytics: Find the keywords which place your competitors top in search engine ranking, track their ranking changes, etc. It will help you to maintain the top ranking in Google. Advertising Analysis: Research your competitors’ advertising campaigns and get the highest possible ROI from your PPC activities. Content Marketing: Discover contents based on ideas and how it works previously. SerpStat takes help of previous social media share for the ideation. Market Intelligence: Learn from domains leaders in your niche, country or around the globe and research their success. Audit & Reports: The tool will do a complete audit for on-page SEO and will share the reports which will have the details like broken links, missing h1-h6 tags, missing pages, duplicate content and much more. 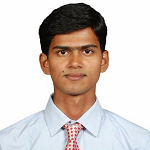 SerpStat also provides free services, and you can use many features of SerpStat free of cost. But as it will be a free plan and so there will be a limited feature. Paid plans start at $19 per month which seems to be the cheapest in the industry when it comes to link building and analytics tools. If you buy for three years, you will get 50% discount as well. These were some of the best Ahrefs Alternative. 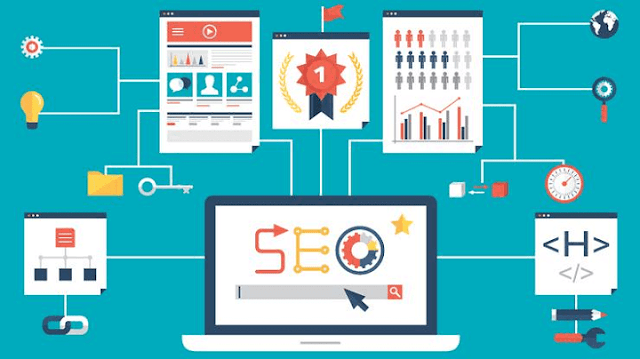 You can use any of these sites like Ahrefs for your link building campaigns, competitors’ data analysis, search engine ranking tracking and reports. If you are into the internet marketing considering this as a business, these link building tools will be a great help to you, and one should use any of these. Some of these tools are free Ahrefs Alternative while few are paid and depending on your need, you can subscribe. Which tool do you use for your blogging and internet marketing?